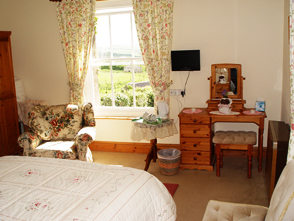 There are three en-suite double rooms and one single room. 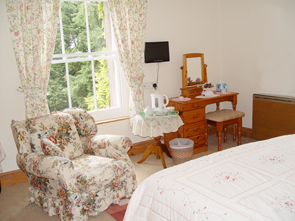 The single room can connect to a double room to make a family room if requested. 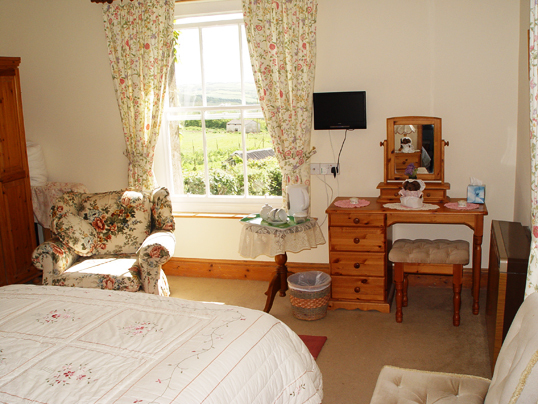 All rooms have beautiful views of the surrounding countryside with their own private bathroom with a good-sized bath, shower, colour television with Freeview, central heating, heated towel rails and tea & coffee making facilities. 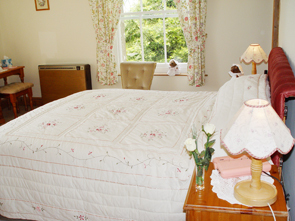 Wireless Internet access are available throughout all rooms, guests are more than welcome to bring their laptop computers. 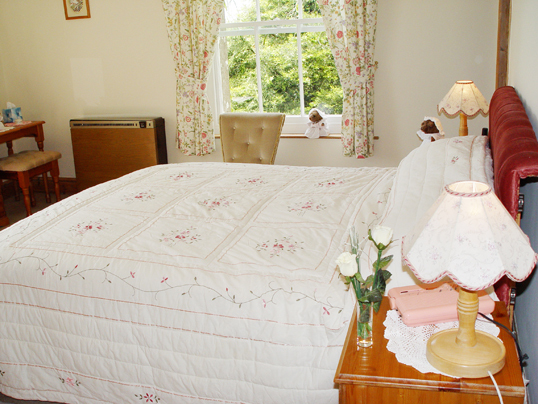 This makes us ideally suited for the travelling businessperson on long journeys. 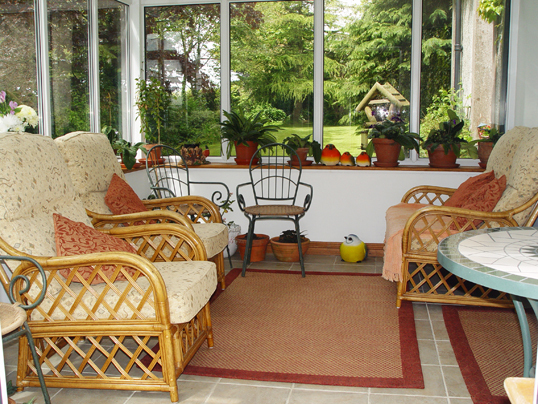 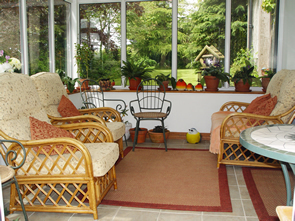 Guests are also welcome to relax in the conservatory and enjoy the beautiful peace and tranquillity. Hair Dryers, Iron and ironing boards are available upon request.